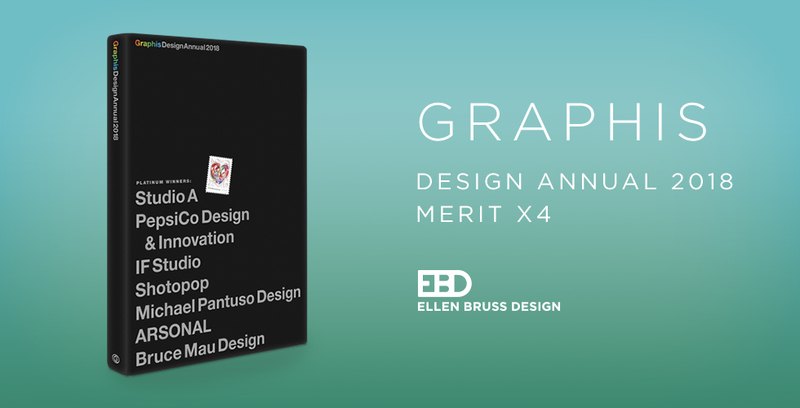 EBD is excited to share that we have received four awards from the prestigious Graphis Design Annual 2018 for our work for Lakehouse, Broads Banquet, Beefsteak and Taste & Co. The annual features the year’s top design work in advertising, art, illustration and graphic design. Lakehouse is a 12-story condominium development on Sloan’s Lake in Denver, Colorado. The building provides high-quality living with uncompromising style, targeting a discerning audience. 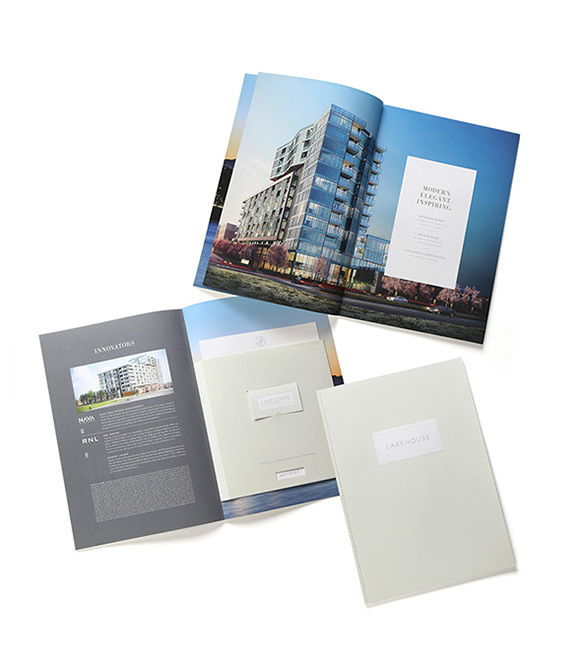 EBD developed a brochure for Lakehouse that is understated and elegant while utilizing high-end printing techniques including a custom PMS color tint, blind embossing and debossing. The color story is a classic lake living palette; the navy is reminiscent of a vintage Chris-Craft boat and boating flags. The navy is complemented with gray and custom cream printed on elegant, upscale Mohawk Options paper in Crystal White with a vellum finish. The Broads Banquet is one of MCA Denver’s annual fundraisers, which as noted in the invite is for “Broads Only No Dudes”. This is an opportunity for women to show their support for the museum. Each “broad” that has attended before can invite new “broads” to the tradition. This year’s featured artist was Ana Maria Hernando, a local artist specializing in painting and sculpture. A chartreuse box and wrap-around label carried the invitation. Inside was a hand-sewn booklet, invitations utilizing Ana’s artwork, and RSVP’s with beautiful gold type paired with bright-colored envelopes. 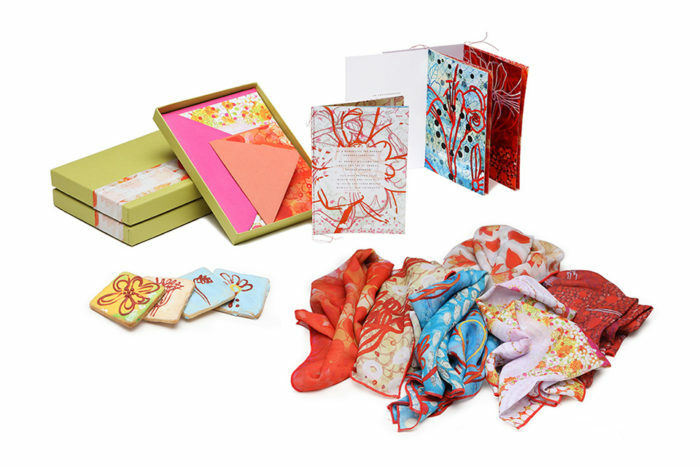 The design transformed into scarves, temporary tattoos and cookies for the event. We carried on these themes with the invitations, booklets and even the place settings at the event. The event was beautiful and colorful with a vibrant atmosphere. The annual MCA Denver Beefsteak Dinner is inspired by the festive Beefsteak banquets originating among the working class of New York City in the mid-1800’s. The meals were organized to celebrate or raise money for politicians, newly promoted friends or celebrities. MCA’s version celebrates all that is manly—beef, whiskey, black tie and no utensils. 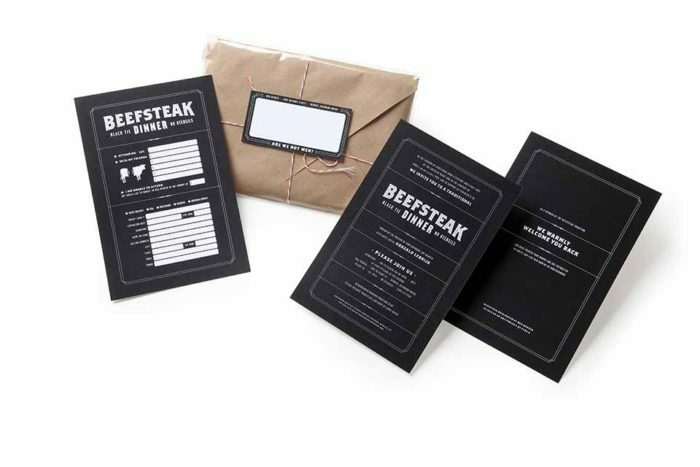 The design uses black-and-white, historic-style graphics with the contents wrapped in kraft butcher paper, tied with baker string and mailed in a clear envelope. This package was delivered to each returning guest and sets the tone for the masculine beefsteak event. The event sells out every year and has been so successful that it has doubled in size requiring a new, larger venue. 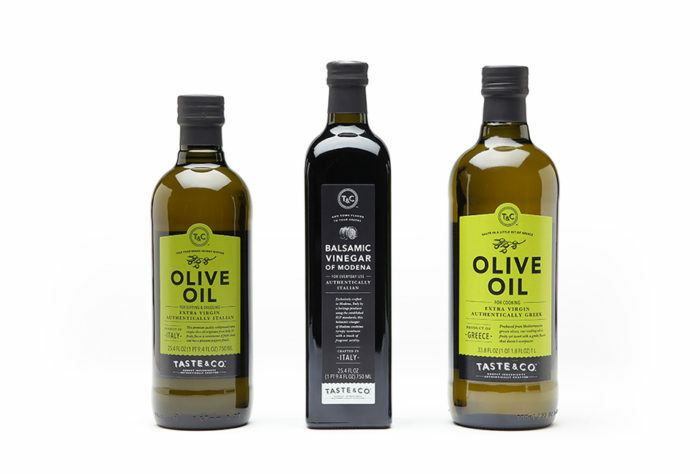 EBD was approached by Bed Bath and Beyond to design a brand identity and packaging for their new Taste & Co. brand. Our goal was to create a brand that would resonate with consumers and conjure up memories of genuinely crafted, quality products that were something they might have seen in their grandmother’s pantry. To achieve our goal, we created a customized font, the tagline “Honest Ingredients, Authentically Crafted” and hand-drawn etchings.